UK courts will have exclusive jurisdiction over any claim arising from, or related to, a visit to our site or use of our services and products as governed by and construed in accordance with the law of England and Wales. What are cookies? Cookies are small text files saved to the user’s computer hard drive, electronic notepad or mobile device that track, save and store information about the user’s interactions and usage of the website. This allows the website, through its server to provide the users with a tailored experience within this website. The cookie information text on this site was derived from content provided through Google and by Attacat Internet Marketing http://www.attacat.co.uk/, a marketing agency based in Edinburgh. If you need similar information for your own website you can use their free cookie audit tool. This website uses tracking software to monitor its visitors to better understand how they use it. The software will save a cookie to your computer hard drive or mobile in order to track and monitor your engagement and usage of the website, but will not store, save or collect personal information. The non-essential cookies on this web site allow us to use services such as Google Analytics which is a popular program used by many web sites you visit to analyse site statistics and traffic. You can learn more from Google Analytics’s privacy page here. During the process of delivering our web site pages to you, we do not solicit any personally identifiable information about you such as name, address, phone number, or e-mail address. This information is received by us when you voluntarily complete our booking forms or contact forms. We do not share the contact details of any of our customers or other contacts.We do not collect information for any third party groups or companies. Your information is only used for our own promotions regarding the artists and creative business that we work with. Data related to quote or purchase requests: We do not store credit card details nor do we share financial details with any 3rd parties. When you submit a request for a quote for services or use contact forms on our websites, through communication using telephone, email, post, mobile text or 3rd party online technology as part of the process of doing business, we collect the personal information you give us such as your name, address, phone and email address as part of the process of doing business. For more information about our Payment Terms, please read out Terms and Conditions. Analytics: When you browse our website, through Google Analytics and/or WordPress, we also automatically receive your computer’s internet protocol (IP) address in order to provide us with information that helps us learn about your browser and operating system. Children: Please note that we are not a site targeted at children or those under the age of 13. Email marketing: If you have given permission, we may send you emails using Mailchimp or Gmail about our services, products and other updates. Email lists will be kept for up to 2 years, then you will receive a renewal Opt in/Consent email. You may revoke your consent to the processing of your data at any time by sending an email to admin@griotsarts.com. You may ask us at any time for information about any personal data we hold about you, or ask us to correct or delete that information. In the event of a personal data breach, we will notify you and GDPR authorities within 72 hours by email or posting a message on our website(s), with information about the extent of the breach, affected data, any impact on our services and Griots Arts’ action plan to secure the data and limit any possible effect on the data subjects as required by GDPR regulations. A personal data breach may involve loss of personal data or the unlawful accessing or processing of personal dataIn the event that your data is compromised. Visit the ICO website for more information about personal data breaches and GDPR. 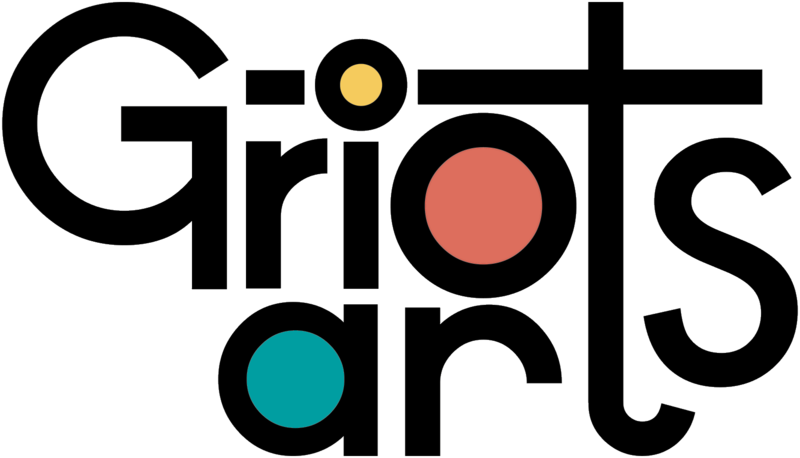 If you have any questions, you can contact Marva Lord, our ICO registered data controller, by email admin@griotsarts.com or by using the contact form on our website. We operate an email mailing list program through Mailchimp, used to inform subscribers about products, services and/or news we supply/publish. Users can subscribe through an online automated process where they have given their verifiable, explicit permission. Our request for consent will always be clear, concise and specific. The subscriber has agreed by confirming consent in replying yes to an email inviting them to join a list. The subscriber selects a confirmation checkbox on a webpage or in an email, separate from purchasing a product. The subscriber has written their signature beside their email address at an event on the sign up sheet in the column that says they wish to susbcribe. This Social Media Policy ensures our business and our staff conduct themselves accordingly online. While we may have official profiles on social media platforms, users are advised to verify authenticity of such profiles before engaging with, or sharing information with such profiles. We will never ask for user passwords or personal details on social media platforms. Users are advised to conduct themselves appropriately when engaging with us on social media. Although we aim to only include quality, safe and relevant external links, users are advised to adopt a policy of caution before clicking any external web links mentioned throughout this website. We will post any changes we make to the Policy on this page (with a notice that the Policy has been updated on the website). You are responsible for ensuring we have an up-to-date active and deliverable email address for you if you are on our email list, and for periodically visiting our website and the Policy to check for any changes. Your continued use of our services after such modifications will constitute your agreement to the updated terms of the modified Policy. Users contacting us through this website, do so at their own discretion and provide any such personal details requested at their own risk. Client service account information will be retained securely for up to 6 years from your cancellation of your service account, or earlier if no longer required by the client depending on the nature of the business process or has no further use. You may request a copy of your data at any time. Where we have clearly stated and made you aware of the fact, and where you have given your express permission, we may use your details to send you products/services information through an email mailing list system. This is done in accordance with the regulations under Email Mailing Lists and Marketing Messages as named in ‘The Policy’ above.